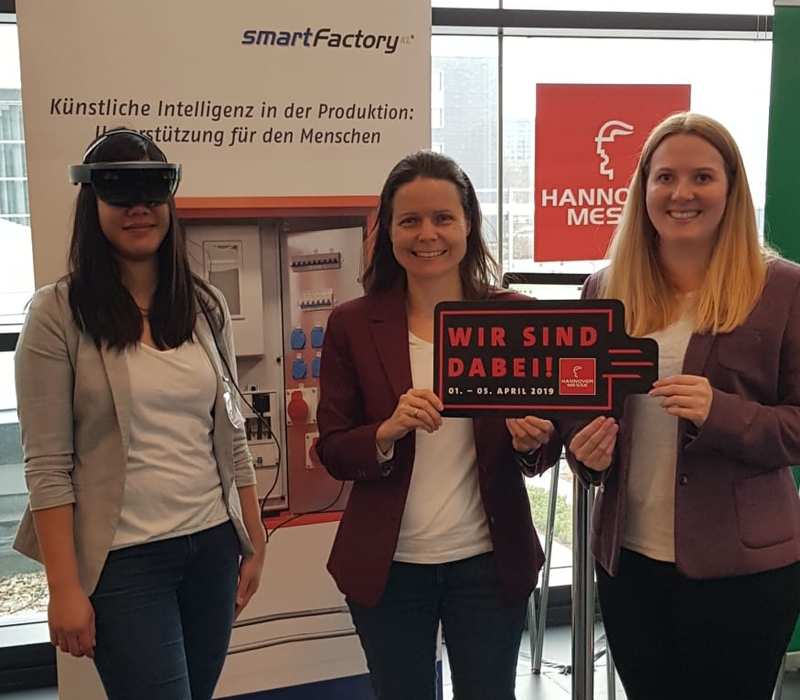 Artificial intelligence as a partner for humans – that is SmartFactoryKL‘s motto for this year’s Hannover Messe. Together with our partners, we will demonstrate new use cases on the Industrie 4.0 production plant.At the press preview for Hannover Messe 2019, Dr. Jochen Köckler, CEO of Deutsche Messe AG, introduced the feature topic “Industrial Intelligence”: AI will play an important role in a connected factory. In addition, a big focus lies on the human who will continue to have a central function in the factory of the future. At the press event, SmartFactoryKL presented this year’s topics to the business and trade press. The AR application which runs on smart glasses was an eye-cathcher. It was developed by Minitec Smart Solutions, a start up from Kaiserslautern which was founded thanks to a cooperation of the German Research Center for Artificial Intelligence, SmartFactoryKL and Minitec.